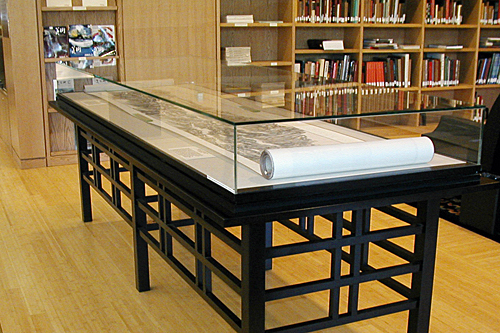 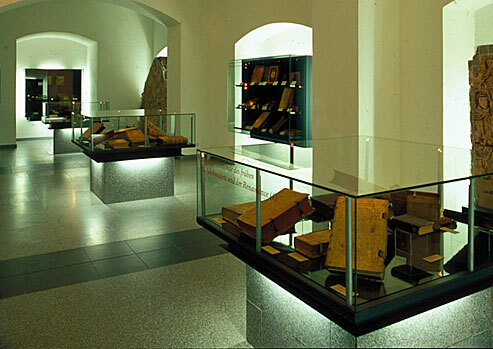 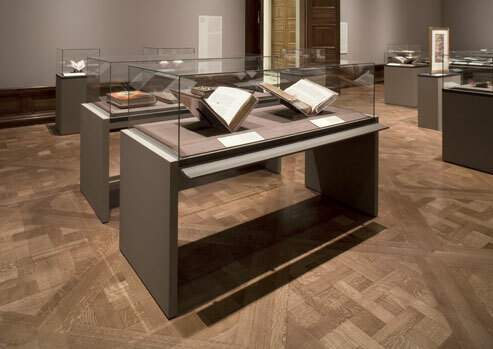 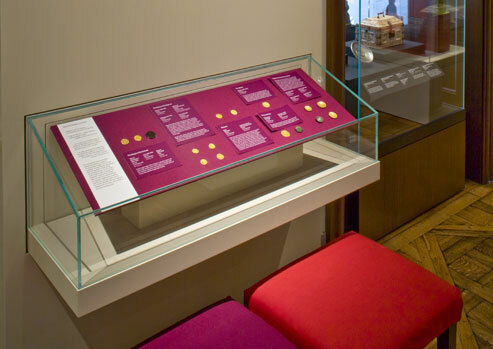 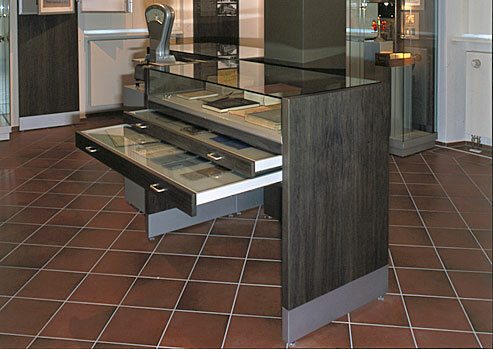 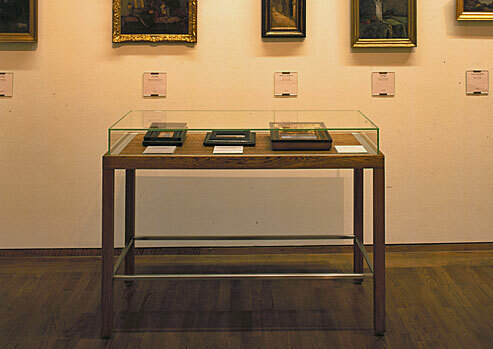 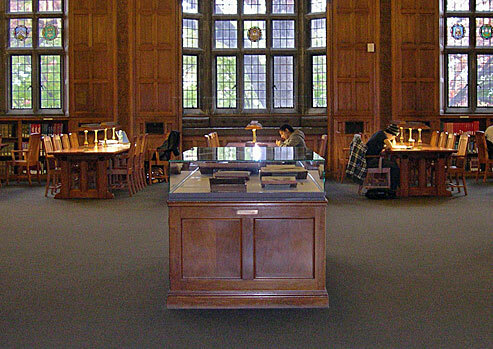 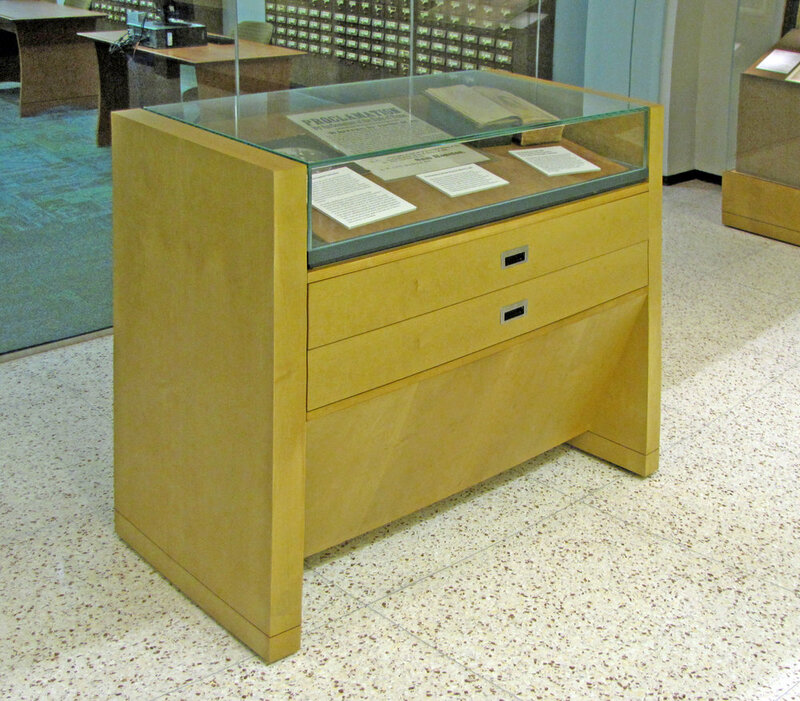 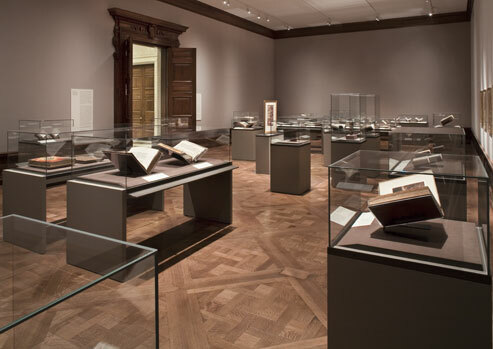 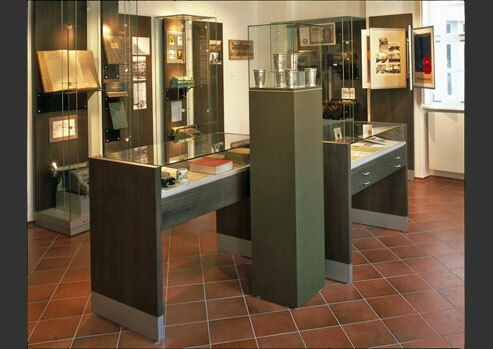 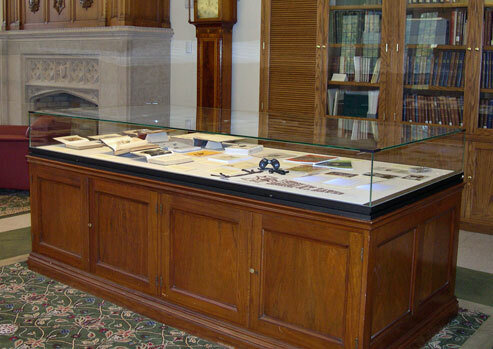 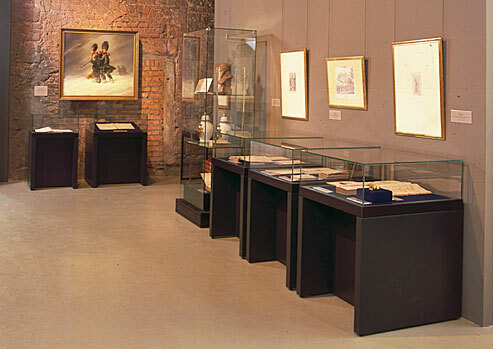 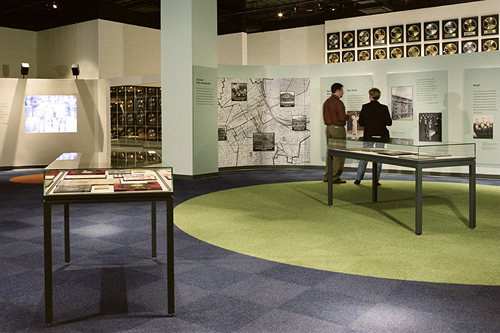 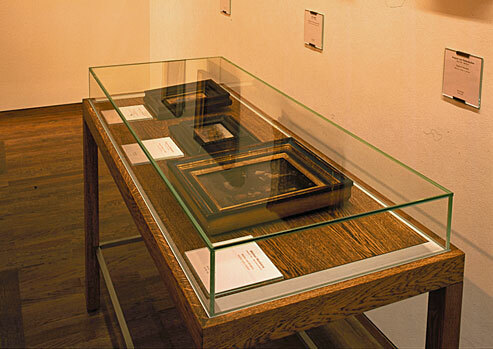 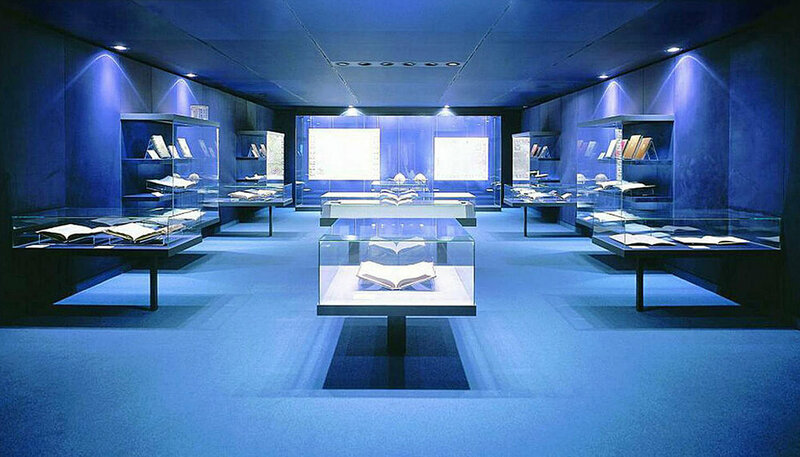 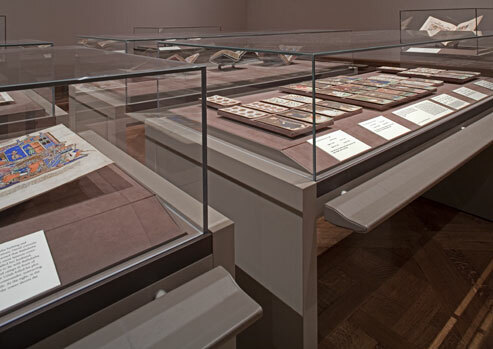 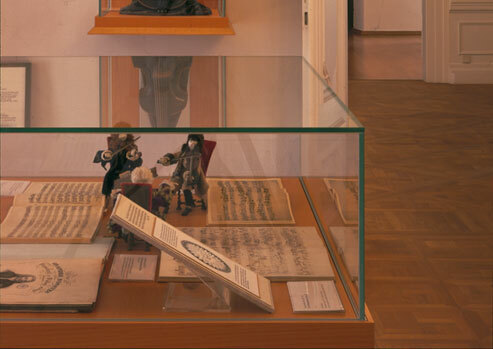 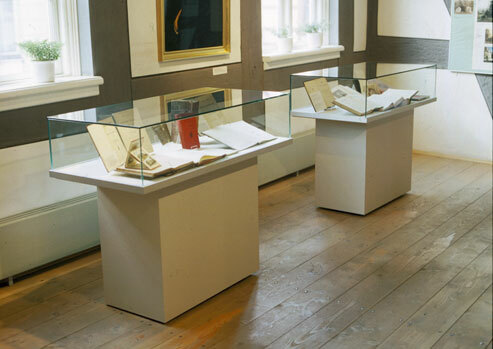 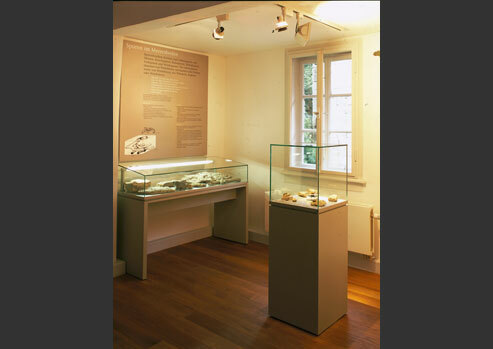 Table cases also known as library cases are typically used to display books, documents or works on paper. 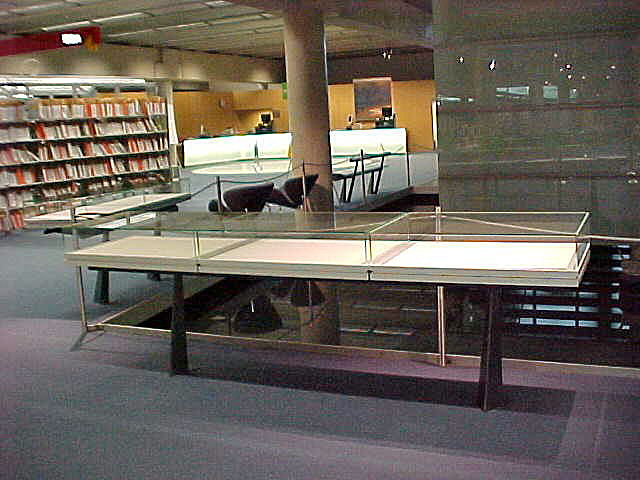 A low, five-sided glass top encloses a horizontal deck and is supported by a table (or pedestal) base. 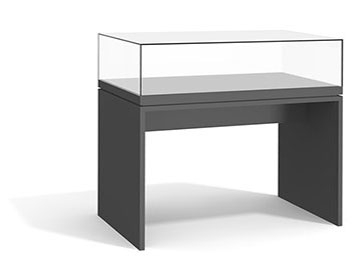 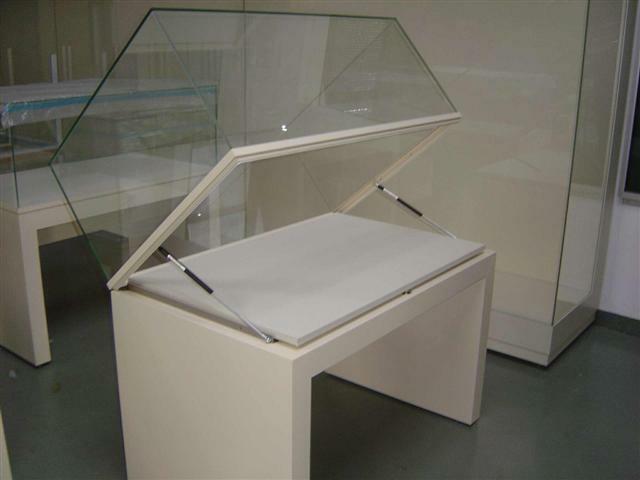 5-sided, frameless glass vitrine is set within a metal rail that is fixed to a table base. 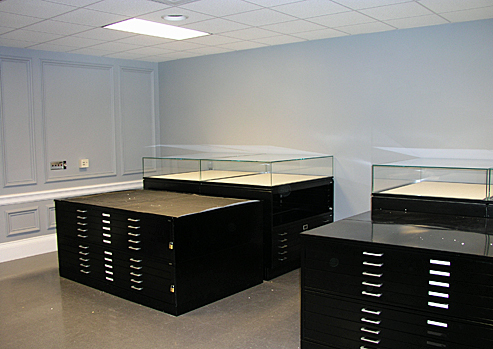 Standard features include removable interior deck, high quality locks. 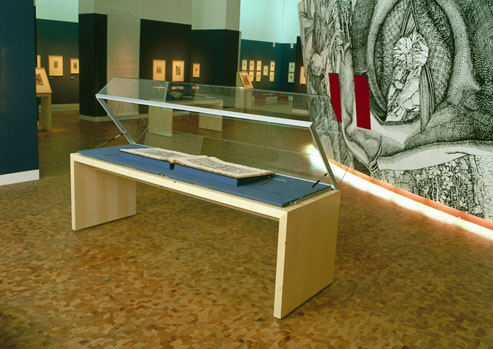 Access is by means of a pair of pneumatic lifters concealed beneath the frame. 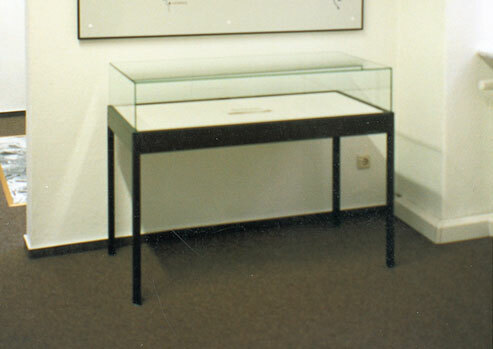 High-Quality Lock, two keys. 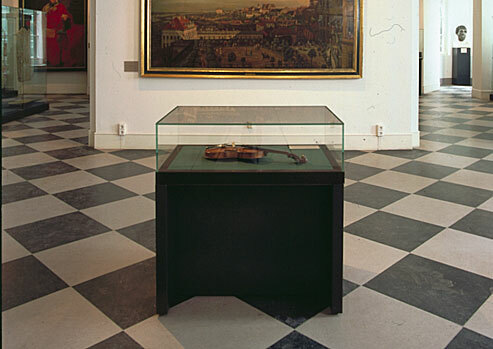 Keyed alike or individually.